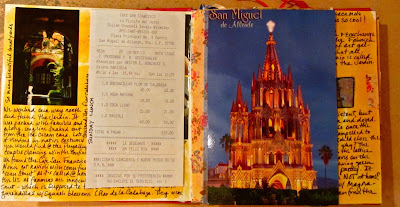 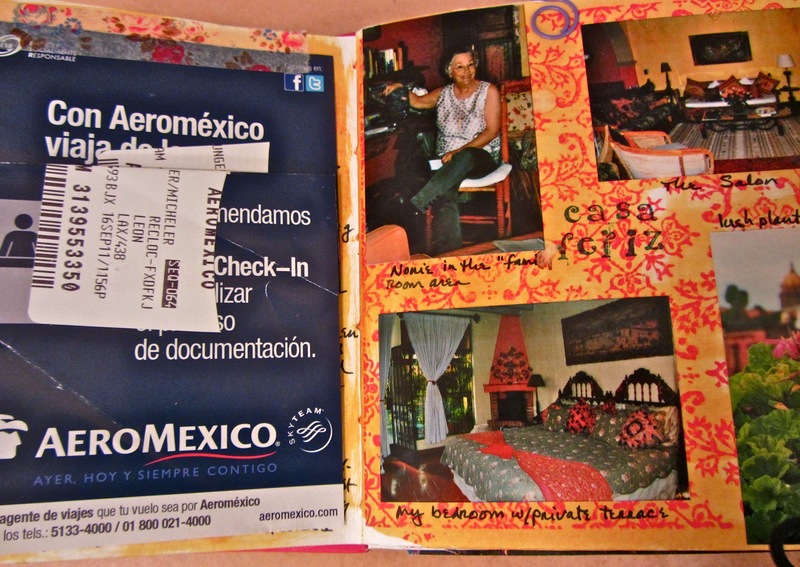 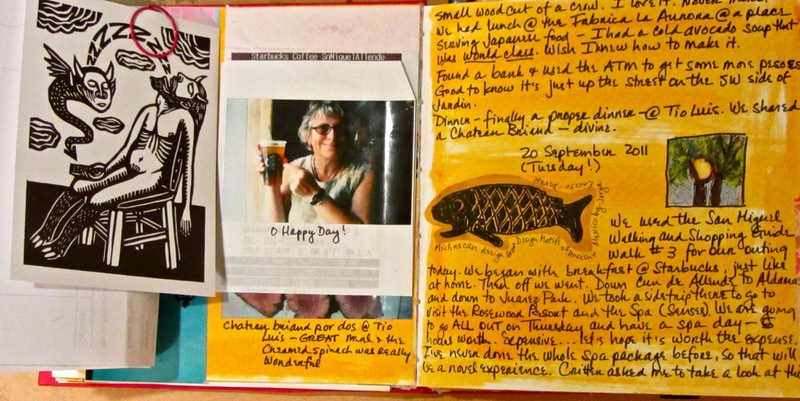 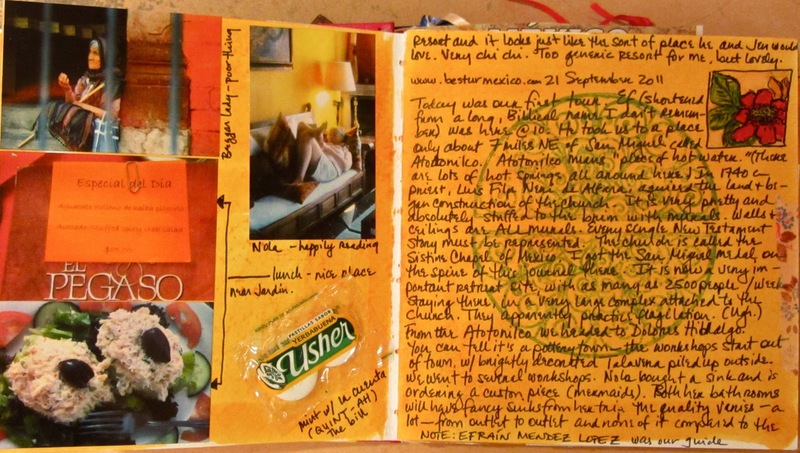 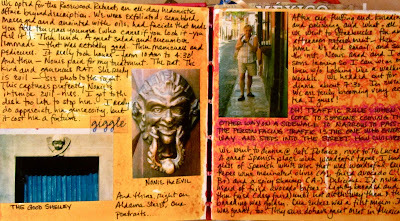 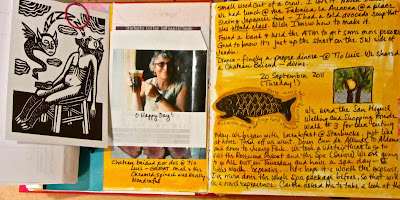 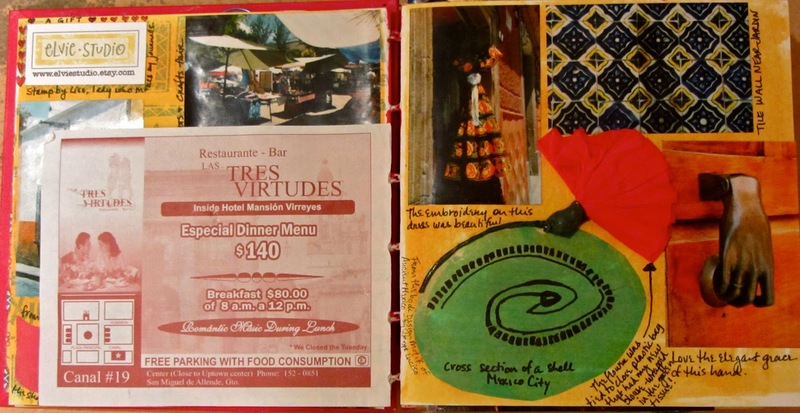 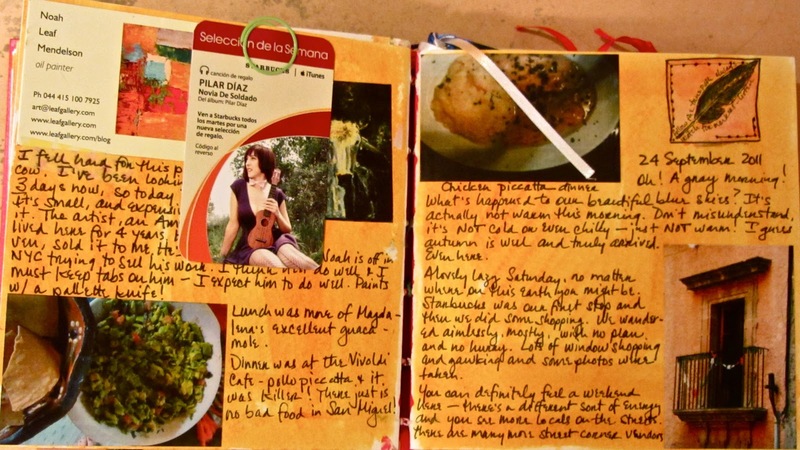 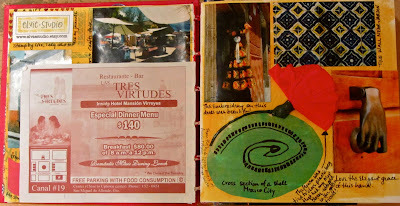 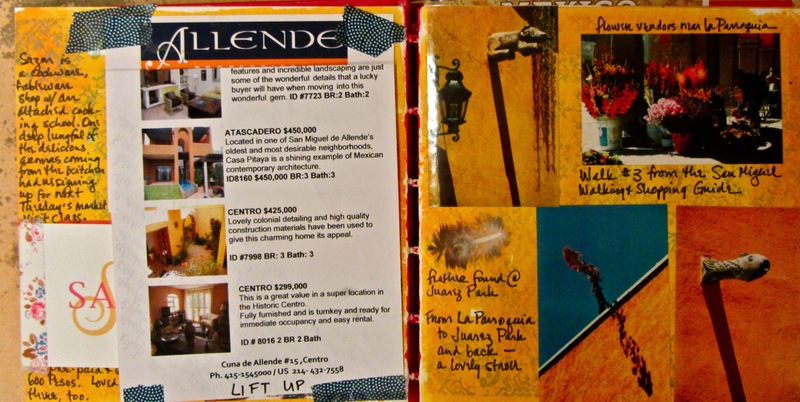 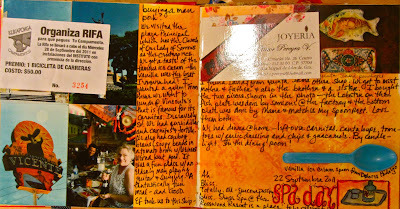 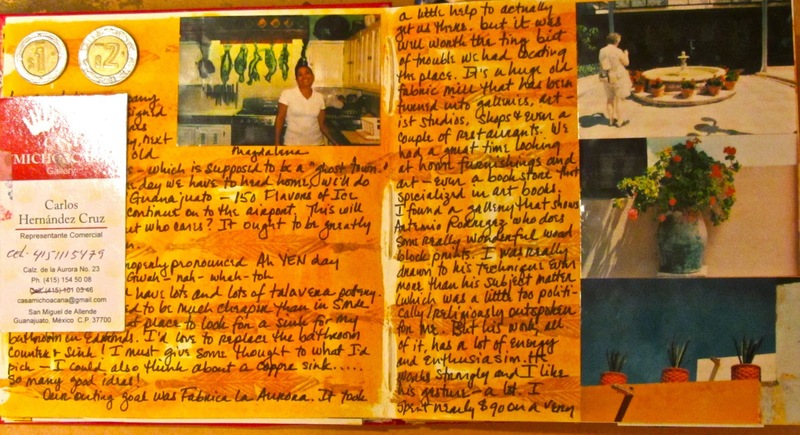 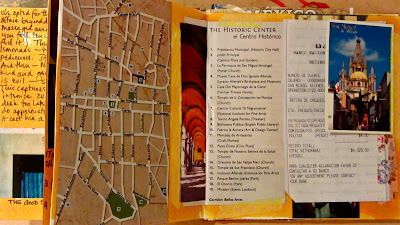 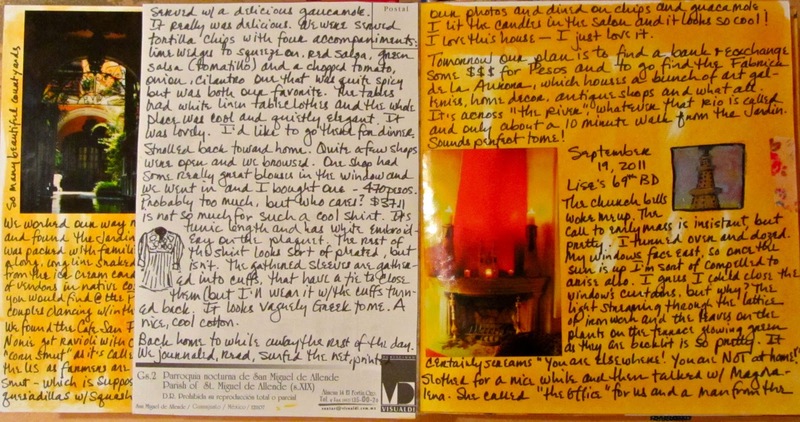 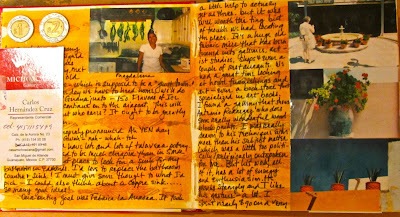 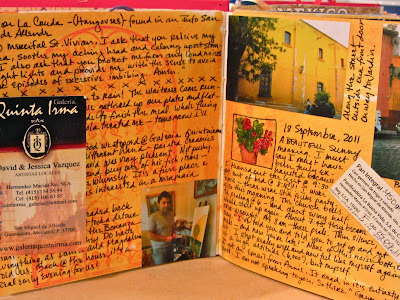 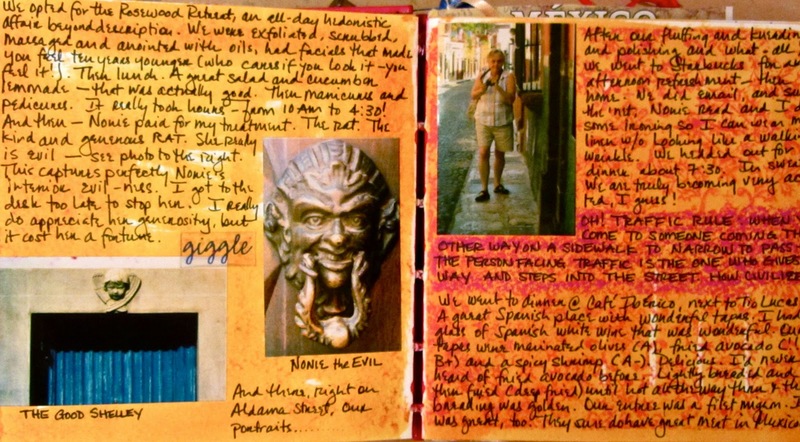 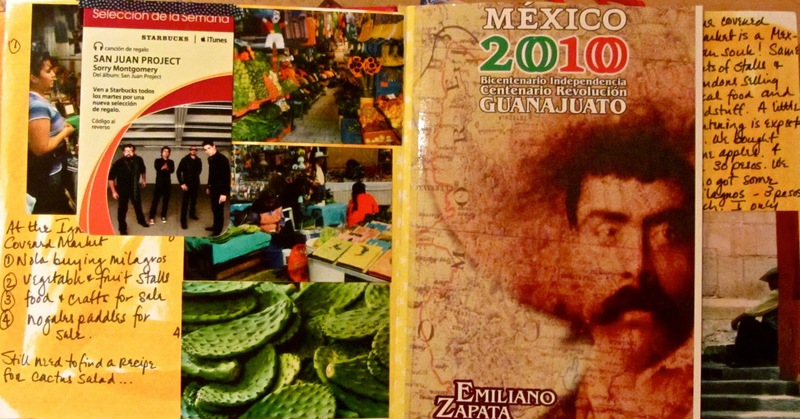 I have been asked to post photos of my travel journal from my recent holiday in San Miguel de Allende, Guanajuato, Mexico. 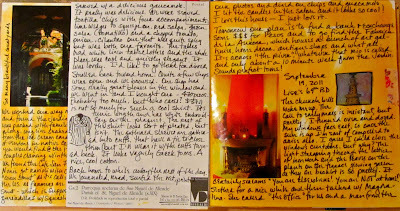 I can't imagine that it is that interesting to others, but since you asked, Dear Reader, here it is...in two parts. 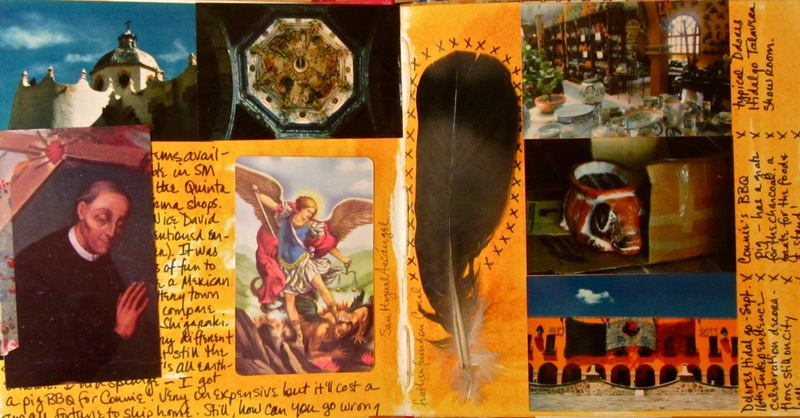 Feel free to skip this post and the next and go do something useful! 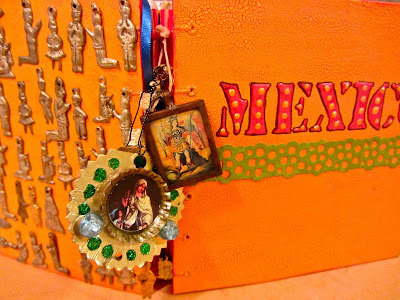 That is super. 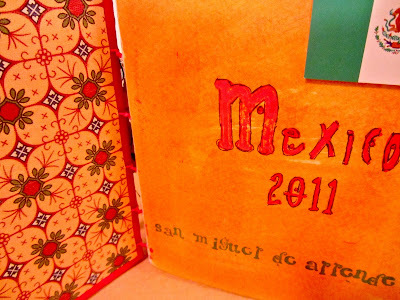 I love the colour, it has a Mexican feel. I actually made a bit more of an effort this time with my journal of our WA trip. 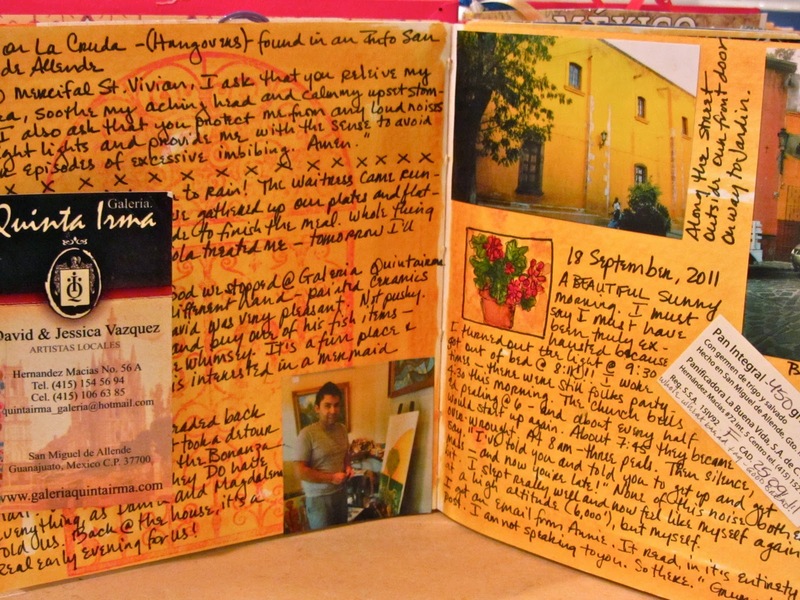 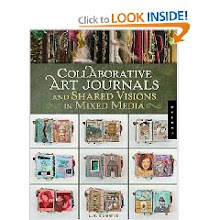 Michele, what a breath takingly beautiful journal.Now I need to go see part Two. 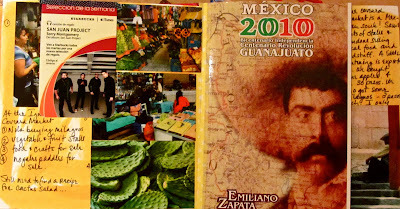 It's colourful, and that is what Mexico is to me: colors and Mariachi. 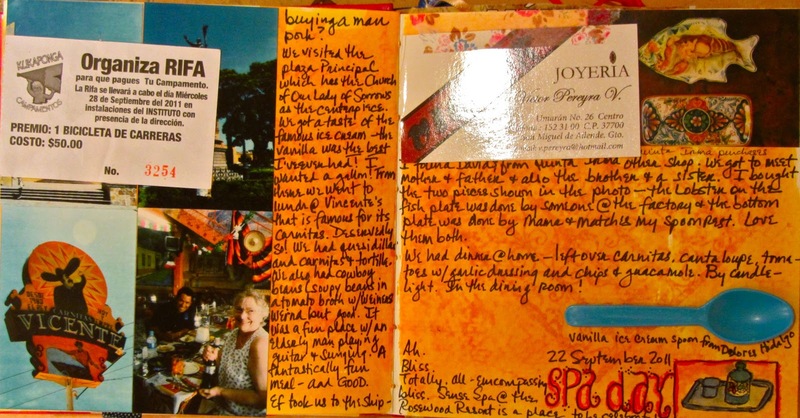 (I am probably the only belgian in the world loving Mariachi).